John Jusu is a missionary of the Association of Evangelicals in Africa. He is an ordained minister of the Church of the United Brethren in Christ – Sierra Leone and has a PhD. He served as Dean of the School of Education, Arts and Social Sciences and taught in the Educational Studies Department at Africa International University. He is currently on an extended leave of absence from the university and is serving with the Overseas Council International as the Africa Regional Director. He works extensively on transformational curriculum issues in response to the context in which formal and non-formal education happens in Africa. His expertise is in understanding the epistemological frameworks of Africans striving to go into pastoral and teaching ministries of the Church in Africa, and how that understanding may influence educational practices. John serves as curriculum consultant for the More than a Mile Deep-Global, Supervising editor for the Africa Study Bible, Senior Researcher for the Africa Leadership Study and member of the Global Associates for Transformational Education. John is also involved in faculty development for many educational initiatives in Africa. 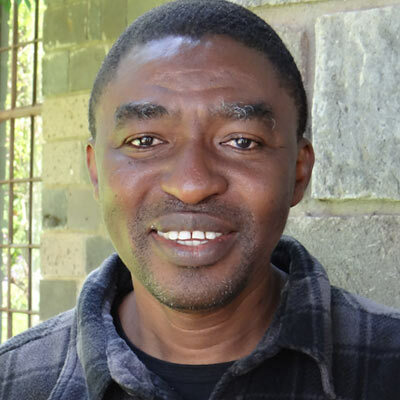 John Jusu served on the Africa Leadership Study senior leadership team, attended all major sessions, helped with leadership design, and supervised a team of doctoral student research assistants. He carried out interviews and wrote up ten-page reports on key Kenyan leaders and Christian organizations. The chapter he wrote, “Developing Transformational Leaders — Curricula Implications from the Africa Leadership Study Findings,” appears in our book.